In this game, I was able to go 13-13 (26-points) with Kareem. All of his skyhook attempts were perfect green beams. Great game spoiled by an OT thriller against a solid opponent. If you don't have Kareem in your lineup, you're missing out. 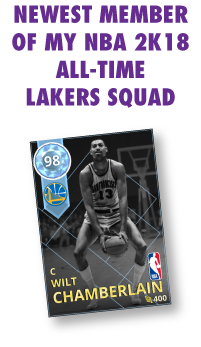 Master his online skyhook (timing of offline skyhook is completely different) and you will dominate the online leagues! Enjoy the video. Music credit: "Asian Strings" and "Space Beats" Composed by Ezra Garcia. LOL. You win some, you lose some, then you win and lose some all in one game by system glitches.